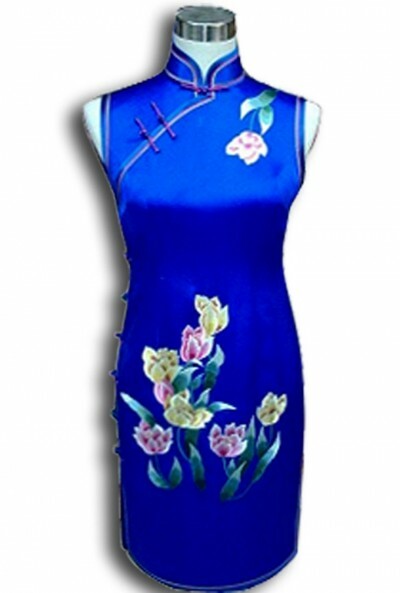 Royal blue silk with embroidery cheongsam. Royal blue silk fabric. Mandarin collar. Double slits. Knee length.